Choosing a toothbrush was not as easy as you think. One vote can make your toothbrush does not get maximum results, and even make the teeth more suffering. "The needs of every person is different, and the solutions to these dental treatments depending on their needs," said Prof. Dr. Hj Melanie Drg Soedono, MBiomed, in the event Formula "Masquerade Ball" in Jakarta, some time ago. 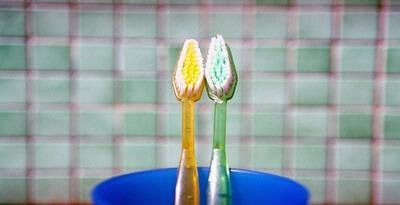 Melanie lamented that until now there are many people who have not been educated on this subject, and tend to assume all are the same toothbrush. This makes people judge all kinds of toothbrush is safe to use for everyone, and all kinds of gear. This assumption is not appropriate, because each toothbrush has different functions according to the needs of each person. "Brush your teeth for different people with sensitive teeth with a toothbrush to the normal toothed, and want to get the maximum hygiene," he explained. To distinguish the type of toothbrush, brush structure and note the texture of his fur. For example, the structure of the elastic rod and the tip of the brush head that tapers created to help clean up the inside of the teeth. The texture of a soft bristle brush is intended to help reduce pain in people with sensitive teeth or other mouth disorders when brushing teeth. While the texture is somewhat hard bristle brush and bristle brush zig-zag aims to help remove dirt in the teeth to get a better dental hygiene up to a maximum of between teeth. If one chose to brush teeth, sensitive teeth sufferers or other mouth disorders will experience pain in the tooth, and more severe can cause bleeding of the gums. People with sensitive teeth should choose a toothbrush with a flexible rod, the smaller brush head and extra soft bristles. "All kinds of toothbrushes have different functions and purposes, then its use can not be equated to any person. Customize the type of toothbrush used with the needs of each person," he advised.